I've said it before and I'll say it again, this winter is by far the most harsh I can remember in my adult life here in the Midwest. We have had snow, lots of it actually, but because we have also had SO many subzero days, it's no longer the "fun snow" that you can play in. It's for sure not great packing snow, and when it sits out there day after subzero day, it's more like flaky piles of ice. Thank goodness we got in some good sledding days last month! 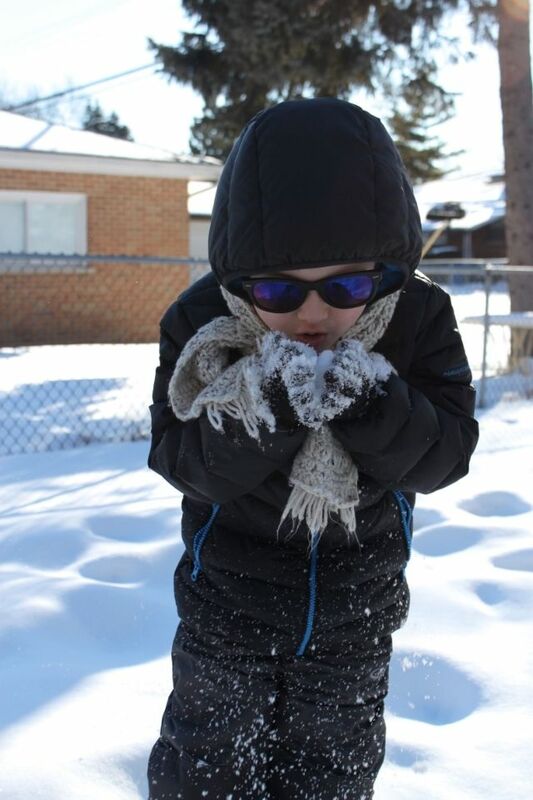 Having said that, I still have two kids who want to play outside regardless of temperature, so we have to come up with creative ways to do so. We also have to play in quick intervals as the warmest it has been in the past few weeks was 14 degrees. 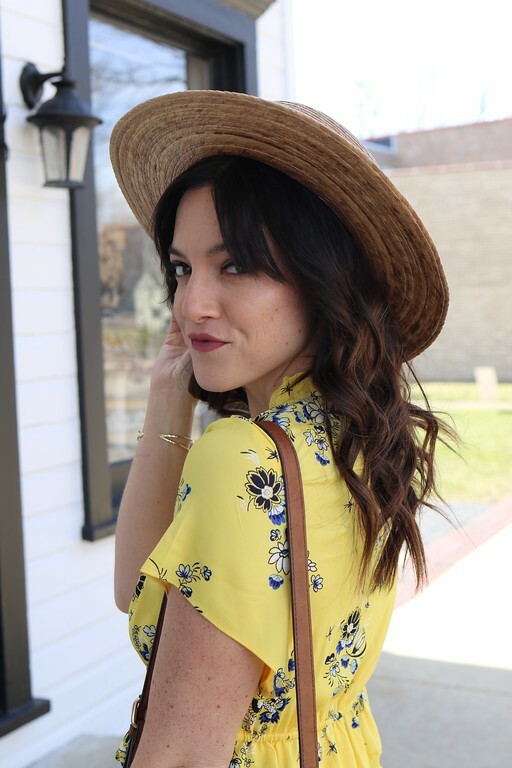 So, I'll show you how we've been having some fun but also taking care of our skin in the process. First up, walks with my daughter. These are generally to and from the car as we are running our daily errands in the mornings, but we spent about five minutes walking each way. We try to make it fun so I tell her to walk in the snow. This always puts a smile on her face. She also likes to try to throw the snow... mostly aimed at me. 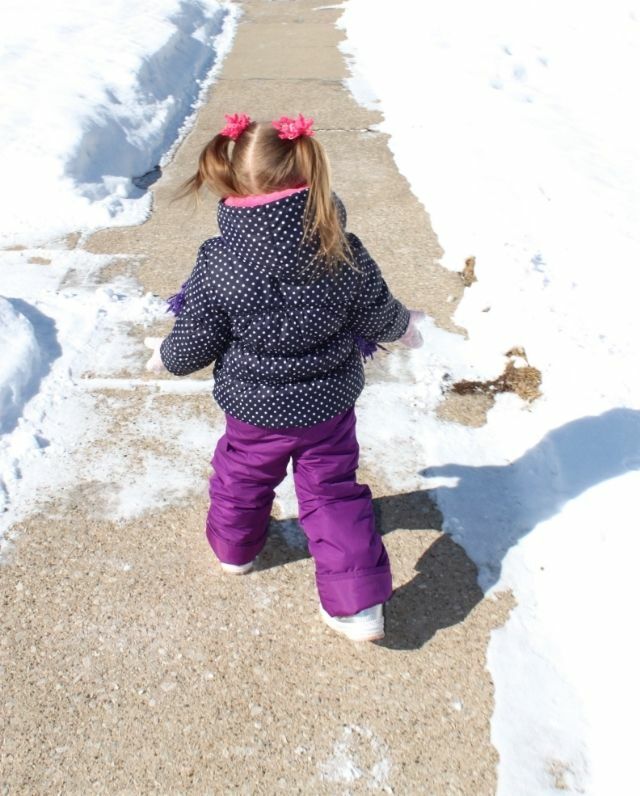 ;) It's too brittle to get snowballs, but she doesn't care it's just fun to play even if only for a few minutes a day. "Do you want to build a snowman? Come on let's go and play!" Yes, the movie Frozen (and it's soundtrack for that matter) is still in rotation in my home. It also makes the kids ask almost everyday if we can build one. It has been breaking my heart to tell them we are just not getting the right kind of snow or even warm enough temperatures to go out and play for long periods of time. However, we just came up with a solution. We got this wonderful L.L. 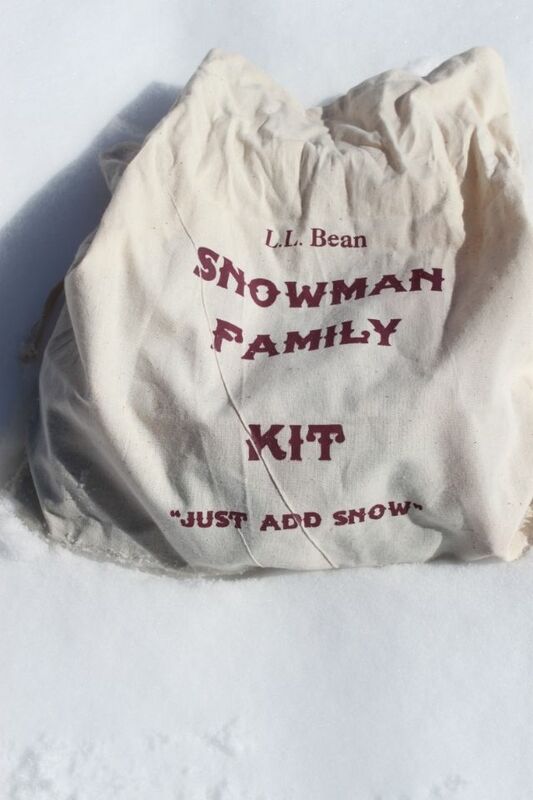 Bean Snowman Family Kit and have been dying to use it. This bag is filled with wood items (buttons, eyes, carrots, mouthes, etc.) and each have a wooden stick attached that you push into the snow to keep them in place. 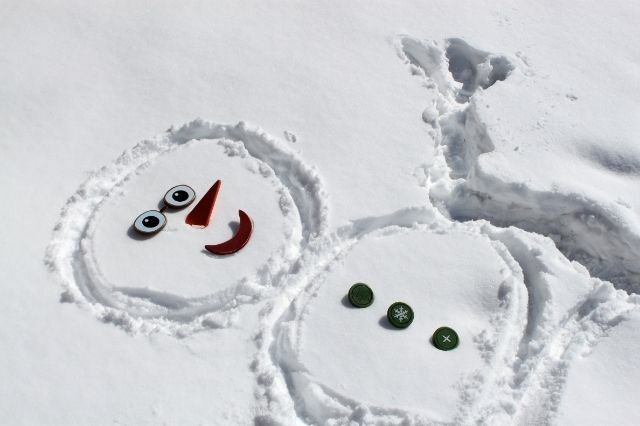 Then it hit me, why does our snowman have to be upright? 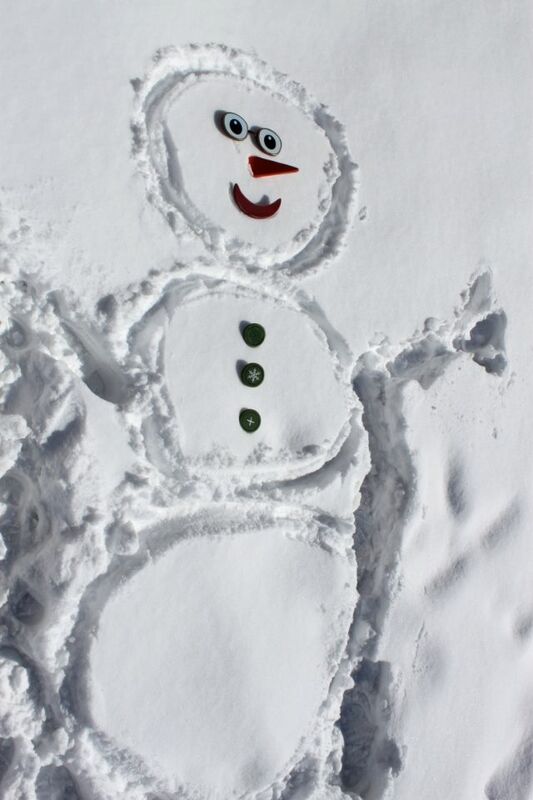 I mean, can't we just draw a snowman in the snow? We can and we did! Talk about fun family teamwork. The kids had me make the three circles with my hands and from there they only walked in my footprints to not make it "look messy". I think it turned out super cool and it is very unique. The kids named him Olaf and after about 15 minutes got too cold and had to come back inside. But we finally got to build a snowman so that made for two very happy kids. My son has come up with two favorite outdoor activities that he can do in a short amount of time. The first is blowing snow. He's 2 and 1/2 years older then his sister so he understands that it's not packing snow. He likes to watch the snow as he blows it around. It's also fun to watch where it lands on the clean snow in front of him. I have to admit, it's very relaxing to watch him do! 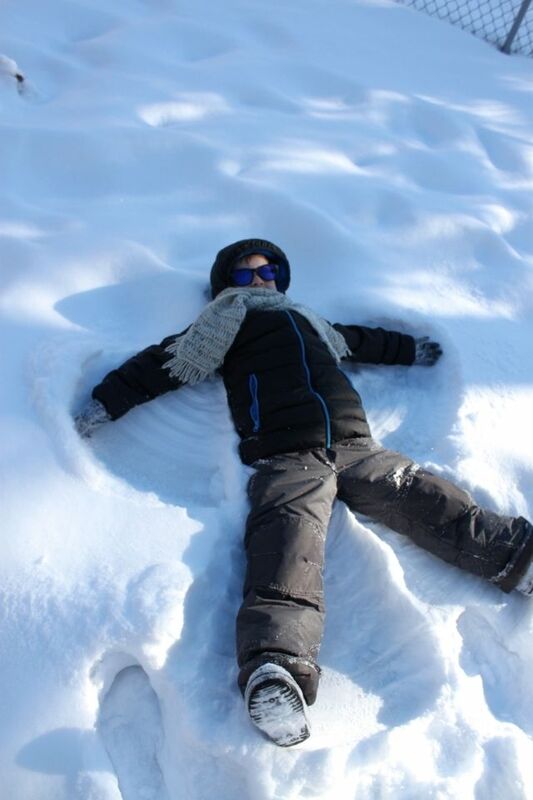 His other favorite subzero winter game is making snow angels. He'll go out back for about 5-10 minutes and make as many as he can until he gets too cold. It's adorable to watch and even though I'm cold just looking at him, it seems to wear him out a bit. 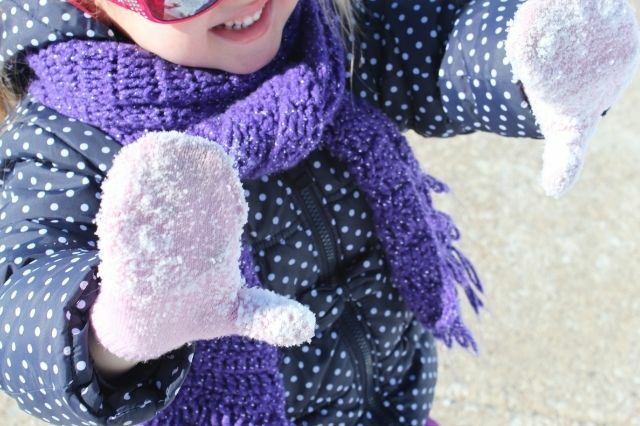 Hello, us moms do not need stir crazy kids anymore this winter. I think by now all kids are getting sick of books, movies, dance classes, & school. They just want some outside time! Which brings me to winter skin protection. So how do we protect our skin during this rough months? Vaseline intensive care of course! This lotion has been a life saver on all members of my family. It's non-greasy and fragrance free so my kids love putting it on. I've actually been keeping the full sized bottle in my purse and another in the car as we are using it so often. I've even replace my hand cream with it for the time being. I think a lot of people forget that the first layer of protection for cold weather is your skin. 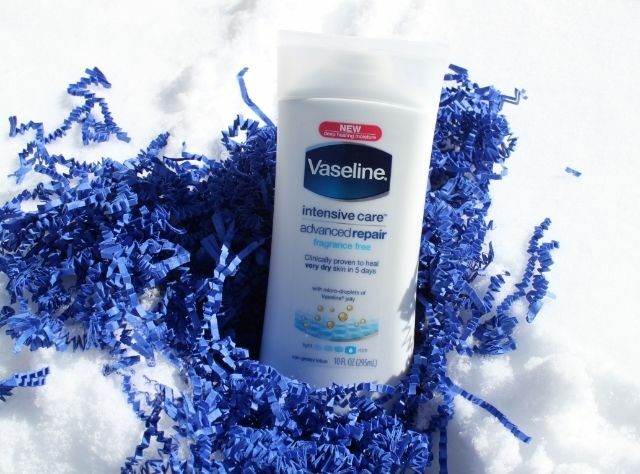 Before you cozy up, give it the proper moisturizing, healing treatment it needs to weather the coldest days of the year. Vaseline® Intensive Care™ Lotions is clinically proven to heal dry skin in 5 days and contains healing micro-droplets of Vaseline Jelly to deeply moisturize. This stuff works really well. We have been using it for the past 2 weeks daily and boy can we see a difference. No wonder it's the official lotion of winter. I can back up that 5 day promise. It's a game changer people! What kinds of daily activities are you partaking in this winter? 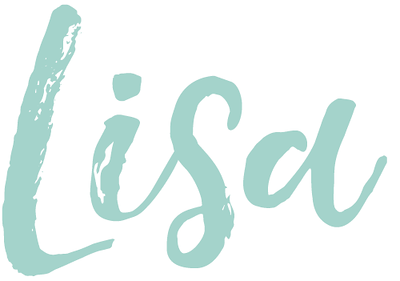 Have you tried to go out in the subzero temps? What kind of lotion do you use to protect your skin? *I participated in this sponsored campaign on behalf of Vaseline® and One2One Network. All opinions stated are my own.